The Astral Brewer 2.0 is a one shoe quiver. 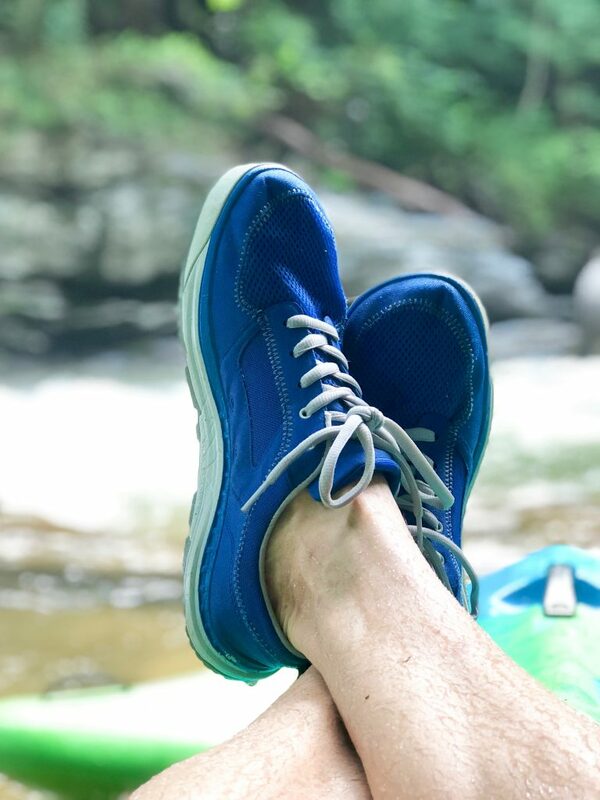 The Brewer is an incredibly high-performance kayaking shoe with understated good looks that effortlessly flows from upstream, to flat water to downtown and many adventures in between. Paddle sports are an amazing way to experience your natural surroundings. 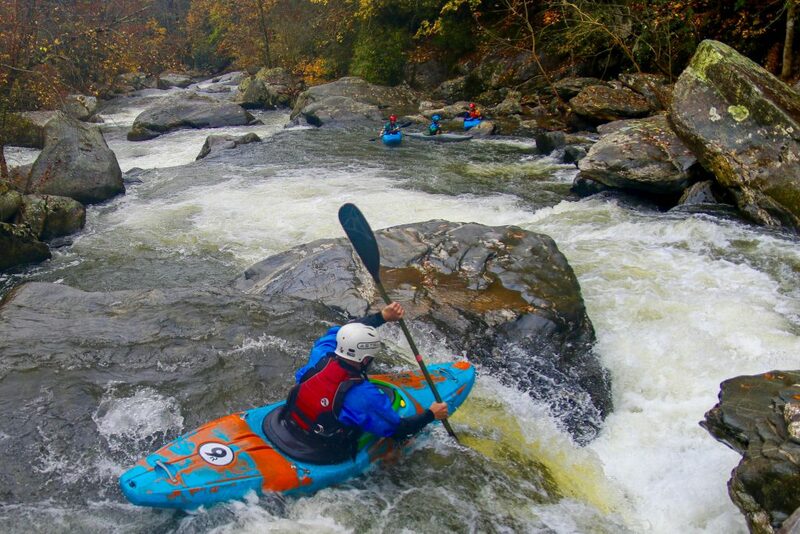 From lakes to streams to rivers to creeks the paddling opportunities are endless. 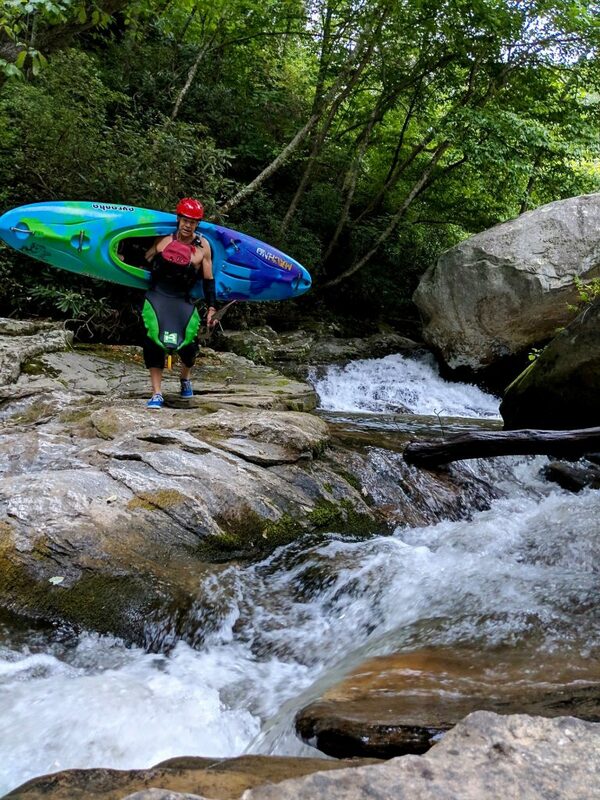 From first learning to roll a kayak in a pool, to running class 4-5 rapids on the Green River Narrows in Saluda N.C., the more I got into paddle sports and specifically kayaking, I quickly realized quality gear was essential. Kayaking gear, possibly more than any other outdoor gear, gets punished and pushed to the limits regularly. 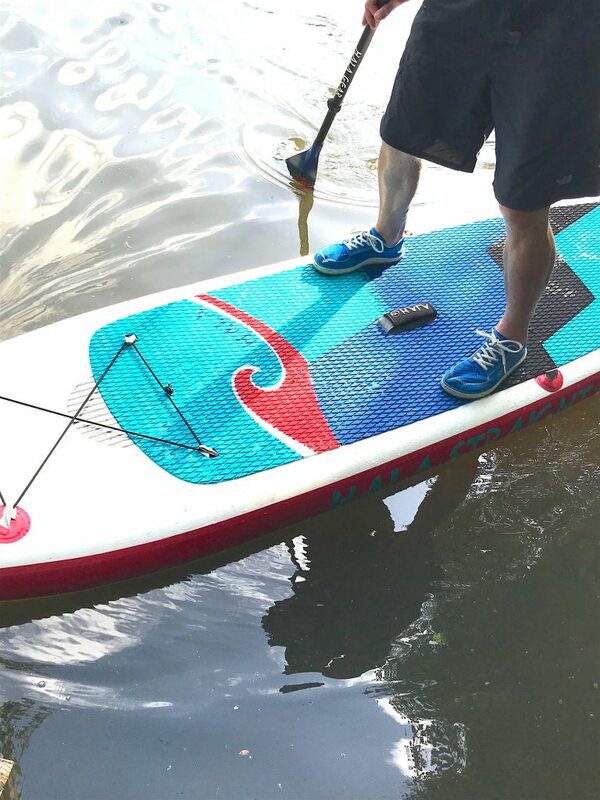 Paddling gear must perform well in constant wet, slick, muddy, slogfests. 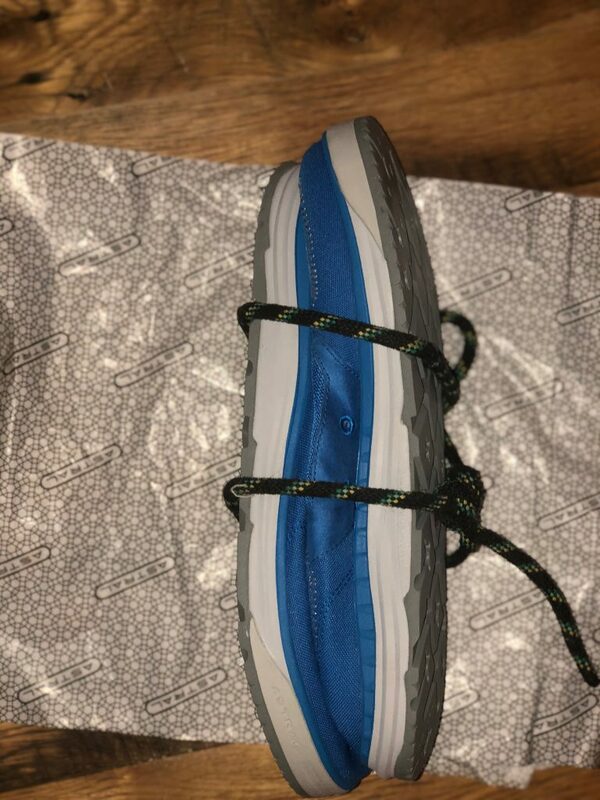 Kayaking shoes are an intricate part of kayaking gear. They are the one piece of equipment constantly being used as much in the boat as out of it. 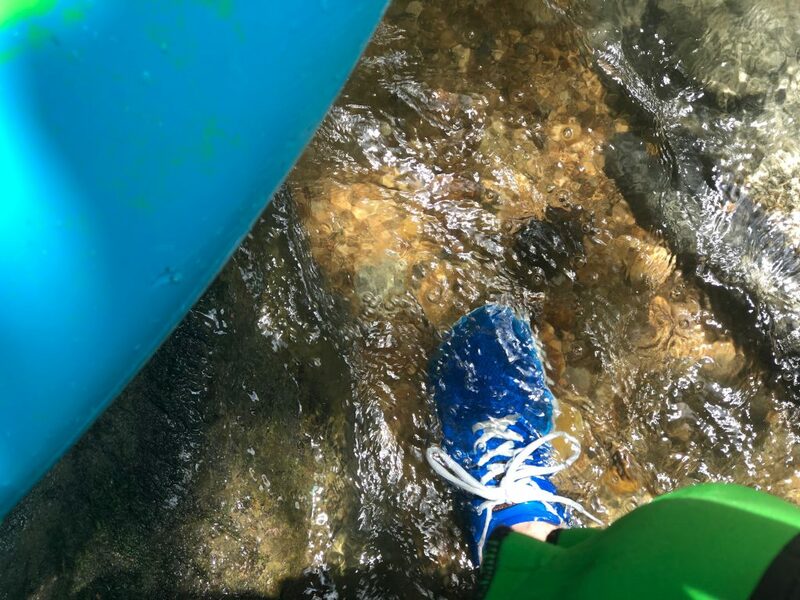 Whether providing a stable platform inside the boat to assist with steering and control to providing grip, comfort, and support during a portage or rescue kayaking shoes must do it all at a moment’s notice. The Astral Brewer 2.0 fits true to size. 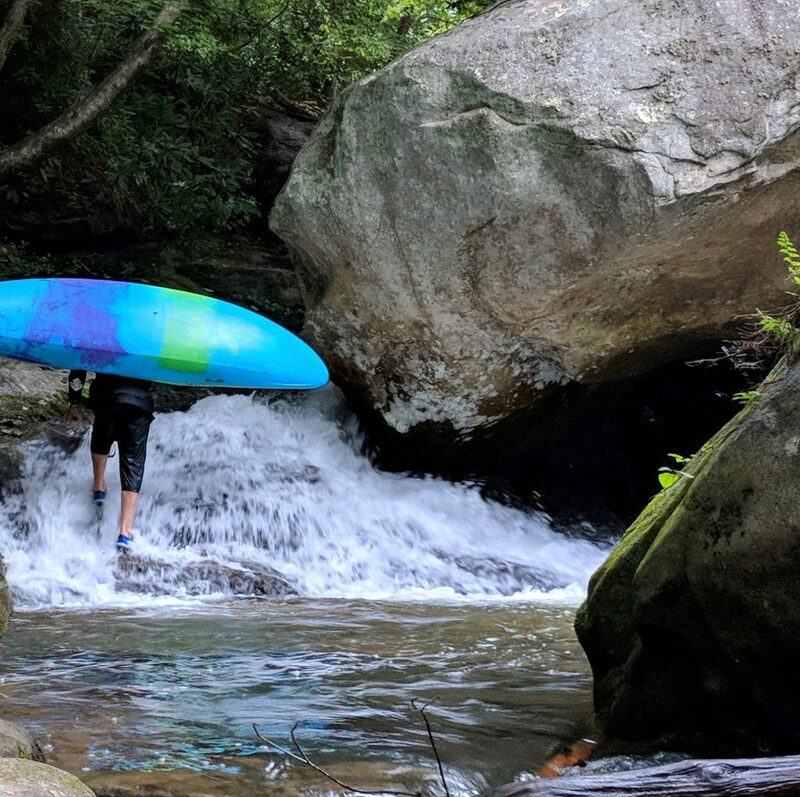 I like a snug fit when kayaking so I always choose a half size smaller for my paddling shoes. 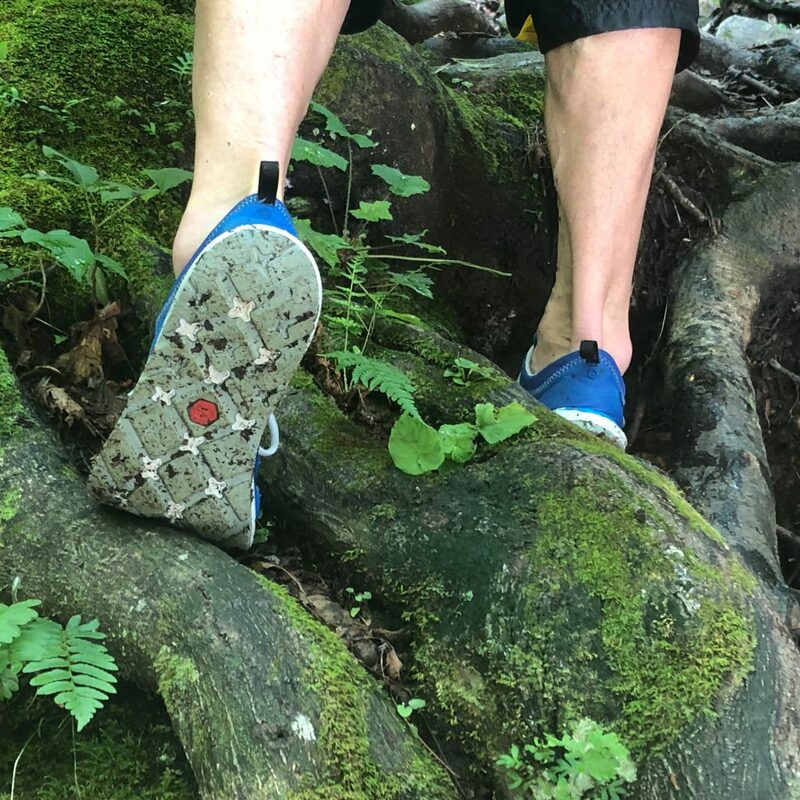 With ample room in the toe box the half size smaller fits snug while giving ample room for the toes to stretch and breath. The Brewer 2.0 is extremely comfortable. I never wore socks with mine on or off the river. Although you can wear socks if they are needed. The upper body of the Brewer is constructed of water-resistant seriously rugged canvas. Ventilation is provided from generous mesh vents, built into the canvas, at the toe box, tongue, and inner side of the shoe. The footbed of the shoe is covered with a material which astral calls a “sock liner.” The liner provides a comfortable bed with medium arch support for your foot to lie in. The liner is treated with Polygiene which provides an antimicrobial (i.e. stink control). 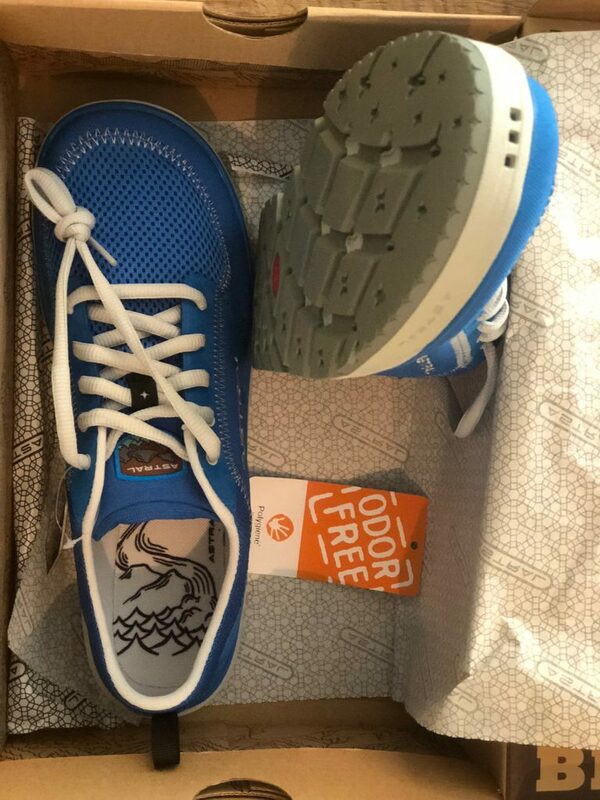 I wore these shoes for 30 days and never experienced an odor problem. The Brewer 2.0 features a collapsible heel. With the heel collapsed gear changing becomes that much easier because your foot can slide in the shoe like a sandal while taking on and off clothing. With 3 small, but efficient, drains at the toe of the shoe and one at the heel water is constantly being drained from the footbed. The shoes usually dry out completely overnight. Finally, the sole of the shoe provides a glue-like stick to wet, slick, and muddy surfaces. The sole is made of an incredibly sticky malleable rubber. The rubber is shaped in a lug pattern with tons of horizontal sipes. These sipes provide even more glue-like grip to an already super adherent sole. This Spiderman grip has been essential during our humid rainy southeast summer. The Brewer 2.0 has understated good looks. When wearing them off the river I am regularly asked what brand of shoes they are, and how to get them. I would buy these shoes even if I didn’t kayak. 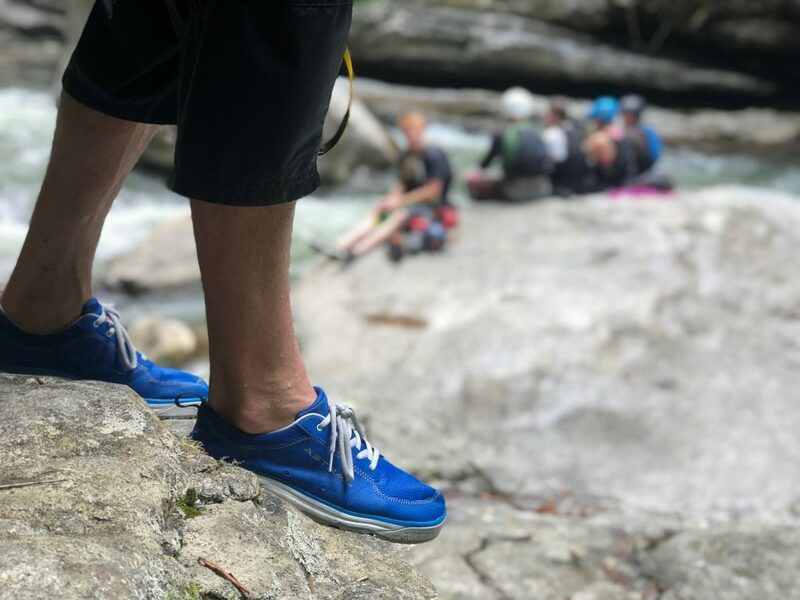 They perform well in any activity from Kayaking to SUPing to running around in slippery creeks, to walking around downtown, Brewers do it all with ease, comfort, and style. They are incredibly light with the men’s size 9.0 coming in at under 8.0oz. And with the collapsible heal, they compress down really well. Not to mention with all the venting, drains and water-resistant canvas construction they usually dry out overnight. Which makes the shoes awesome travel companions. My favorite aspect of the Brewer 2.0 is they remind me of an old friend. You can really rely on them to be there for you. They have your back in bad situations and don’t mind hanging out with you in more casual settings. They have literally become my everyday shoe. They are out of the box comfortable. No break in time needed. The only improvement I would like to see in the Brewer 2.0 is possibly more color options? Shop the Astral Brewer 2.0 on Outdoor Prolink. Not a member? Apply today! Dylan Parker is a cardiovascular intensive care unit nurse, an outdoor emergency care instructor, and a member and instructor National Ski Patrol (S.E. Pro Division.) 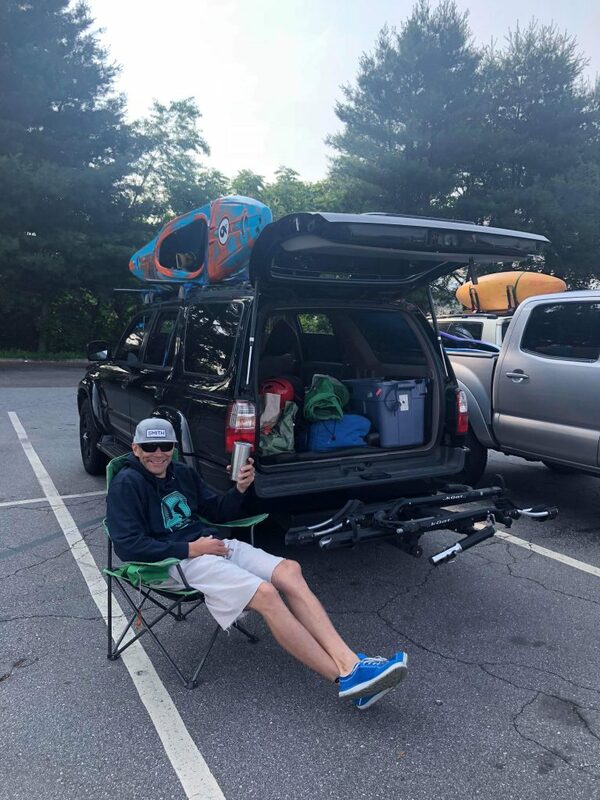 He works 3 days a week as a nurse and enjoys getting after it kayaking, mountain biking, taking bad pictures, and or skiing during his time off.